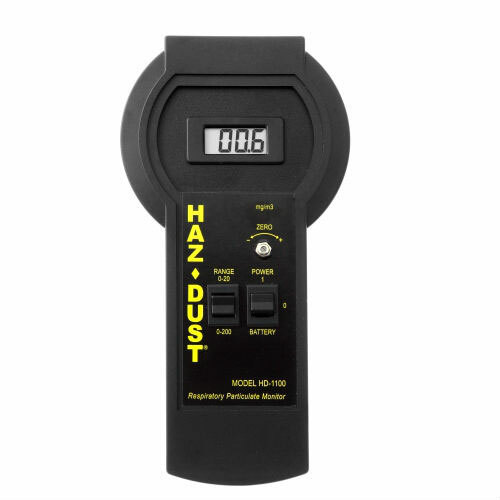 The HAZ-DUST 1 at the touch of button provides real-time airborne particulate concentration in accordance with HIOSH Method 0600. It provides accurate instant data for a variety of uses including indoor air quality, hazardous materials investigations and industrial hygiene as it is an easy to use particulate monitor. For maximum automation of data collection, use the HAZ-DUST I Dust Monitor with the optional datalogger to provide data storage, on-screen display of statistics, and a user-selectable alarm threshold. The datalogger includes DustComm Pro Software for PC that provides statistical analysis and graphs.